The Labour Party has failed to take disciplinary action against hundreds of members accused of anti-semitism under Jeremy Corbyn’s leadership, according to internal documents leaked to The Sunday Times. A hard drive of emails and a confidential database last updated on March 8 reveal how the party’s system for dealing with such complaints is bedevilled by delays, inaction and interference from the leader’s office. They reveal members investigated for posting such online comments as “Heil Hitler”, “F*** the Jews” and “Jews are the problem” have not been expelled, even though the party received the complaints a year ago. The British Jewish Labour Movement (JLM) on Sunday passed a no-confidence motion in party leader Jeremy Corbyn, hours after a newspaper report detailed the party’s failure to confront anti-Semitism within its ranks. The Jewish group’s motion was passed almost unanimously after an “impassioned debate,” the group said in a statement...The annual general meeting of the JLM, which has 2,000 members and has been affiliated with the party for nearly 100 years, also voted that the party has a “culture of anti-Semitism” which has led to a “crisis.”...Labour lawmakers Ruth Smeeth, Louise Ellman and Margaret Hodge, who have clashed with Corbyn on the issue of anti-Semitism, all gave “strong speeches” at the meeting, the group said. The Sunday Times had earlier reported on instances in which the party has defended members who made vitriolic anti-Semitic remarks, as well as its scant expulsion of members over such cases despite more than 850 formal complaints. 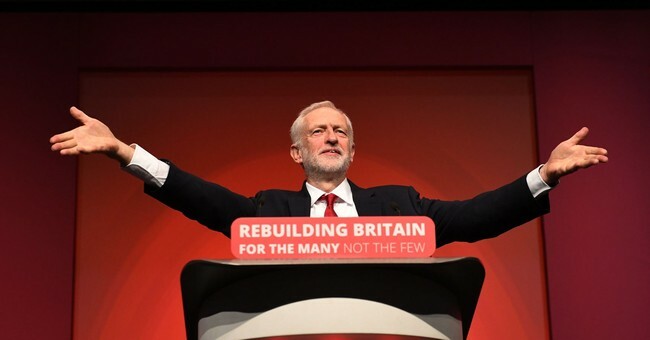 In recent months, most of the Anglo-Jewish community, normally happy to keep its collective head down, has been uncharacteristically vocal on the issue of Mr. Corbyn’s anti-Semitism. I haven’t. It’s probably because I’ve lived in England all my life, but I don’t like to make a fuss. I recoil from the paranoia and neurosis that haunts many older members of my community, though I recognize its cause. I have never wanted to be a PTSD Jew, forever stuck in 1933. And I really do appreciate that parsing anti-Zionism and anti-Semitism can be a tricky business. Perhaps the deeper thing keeping me on the fence is that I desperately didn’t want to face the reality that Britain’s possible prime minister is a man who traffics in an ancient prejudice against my people. What would that say about my party — and about my country? Here’s what I do know: My fellow British Jews were right. I was wrong. From now on, Jeremy Corbyn has my loud and implacable opposition.